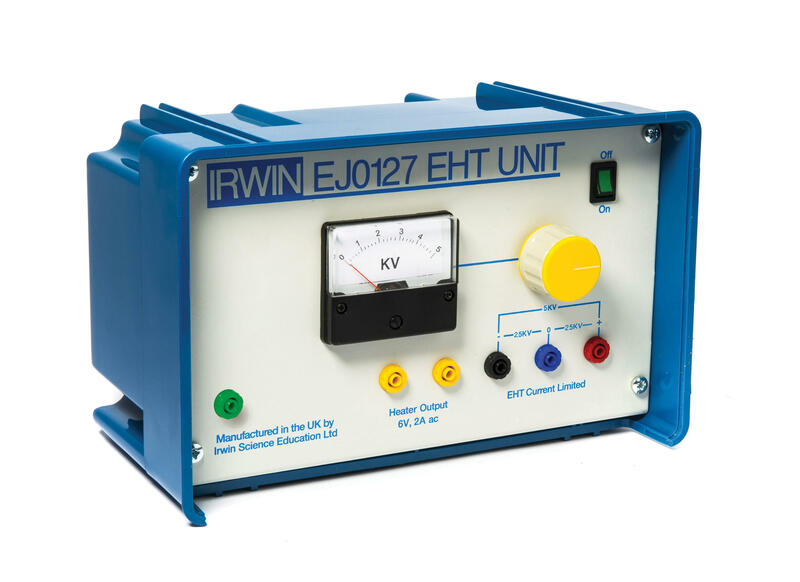 Our EHT power unit supplying up to 5KV for experiments with Teltron tubes, spark counters etc. The 5KV voltage allows the user to demonstrate high voltage experiments such as the shuttling ball. The outputs are arranged as 2.5KV – 0 – 2.5KV The outputs are terminated through colour coded shrouded 4mm sockets. The output is current is limited to 2mA for safety. A separate heater output of approx. 6.3V @ 2A is also available as well as an earth terminal to allow any of the EHT outputs to be grounded for extra safety.